• The cards feature full-color paintings in the style of the Libyan mosaics popular with the Roman elite in the 1st century B.C.E. The Oracle of the Black Doves is a system of divination inspired by the Libyan Sibyls, the African prophetesses of the classical world. According to the Greek Historian Herodotus, two black doves flew away from the city of Waset (Thebes) and established the Siwa Oasis oracle in Libya and the first oracle in Greece at Dodona. These powerful Sibyls were consulted by all levels of Greek and, later, Roman society. Created by tarot reader Tayannah Lee McQuillar, this contemporary oracle pays homage to the oft forgotten African founding mothers of the sibylline traditions. Drawing on both the African and the Classical traditions, it features full-color paintings by artist Katelan V. Foisy, who created the card art in a style reminiscent of the Libyan mosaics popular in the 1st century B.C.E. In the accompanying guidebook, McQuillar details how to consult the oracle, providing in-depth write-ups about the meaning of each of the 44 cards and the symbolic language represented by each card’s imagery. She demonstrates how there is only one correct way to phrase a question to the oracle, making it nearly impossible to receive a vague or biased response. Designed to directly address the spiritual lessons underlying the seeker’s query, the oracle facilitates self-examination and decision-making, helping the seeker improve the likelihood of success in all undertakings and choose their best possible future by broadening their perspective of the situation. The author also includes a history of the Sibyls of the ancient world and explores the continuing Sibyl tradition in North Africa today. Disclosure of Material Connection: Some of the links in the page above are "affiliate links." This means if you click on a link and purchase the item, Brown Girl Tarot may receive an affiliate commission. I am disclosing this in accordance with the Federal Trade Commission's 16 CFR, Part 255: "Guides Concerning the Use of Endorsements and Testimonials in Advertising." 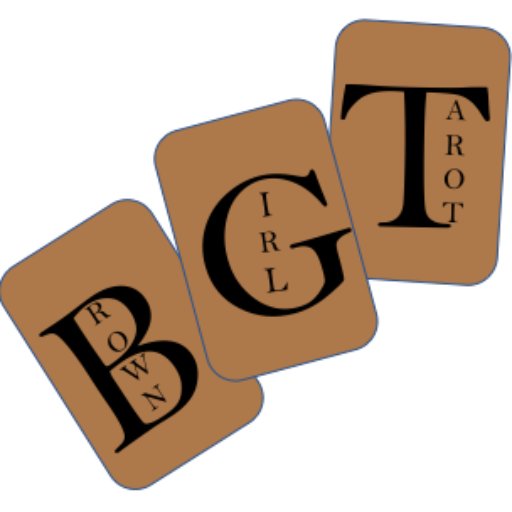 The Brown Girl Tarot Library Is HERE!! !